Truth by Kbaig: Why did NATO select night of 26 November for attack over Pakistani Posts? 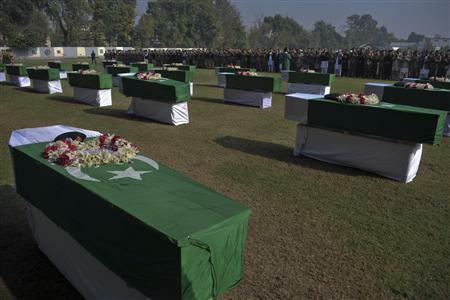 Why did NATO select night of 26 November for attack over Pakistani Posts? If we look into the near past, not more time has passed, just few weeks ago, Hilary was laughing on being termed as mother-in-law on her visit to Islamabad in order to decrease the tension between the both countries. Her previous behavior devoid of emotions was not visible anywhere. Because on 13 of September, 2011, Taliban entered into the stronghold of Americans in the Kabul i.e. American embassy (still this has not been disclosed that Taliban went their just to fire bullets in the air or they were busy in fighting with walls for nineteen hours, how many Americans were killed by them this is still a secret), this act of Taliban was not only shameful for Obama govt. but Pentagon as well. Under the pressure of this act retiring General of American Army blamed Pakistan for this act in front of defense committee of Congress, and had tried to prove that Pakistan is harboring terrorists and conducting attacks on allied forces in Afghanistan via Haqqani Network. This is another fact that White house did not support Mullen’s statement and US Foreign Ministry was forced to issue the statement that US govt. rejects accuses of Mullen over ISI and Pakistan army. However in order to pressurize Pakistan statements blaming Pakistan were issued more rigorously. The main focus was that Pak-Army should start operation against Saraaj-u-Din Haqqani and his network hiding in North Waziristan. The main purpose of this propaganda was to befool US public that the reason behind US failure and deaths in Afghanistan is neither their ineligible Generals and commanders (who are sucking the blood out of US public in the form of taxes) nor their illegal and immoral hold of Afghanistan resulting in resistance from Afghans but Pakistan and terrorists from Pakistan. Pakistan was also forced to use media in spite of diplomatic channels to tackle this situation. When the world was told that Uncle Sam itself is in contact with Haqqani network and holding talks with them. 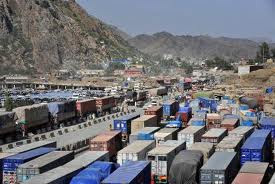 Moreover there is not network of Haqqani in North Waziristan but in Afghanistan controlling more than seven provinces, while in four of these provinces Americans and allies have to take permission from Haqqani before moving in their vehicles for safe return. After such disclosures by Pakistan, Americans were forced to confess in front of journalists that they have contacts with Haqqani because further denial might have resulted in worst situation. Moreover Pakistan has also created tension for USA by saying NO MORE as a reaction to Mullen’s statement. Hilary visited Islamabad to decrease this tension but Deputy Commander of NATO General Krits started blaming Pakistan and issued statement, “terrorists attack American and allied forces with the support of Pakistan army and when terrorists are attacking allied forces Pakistani soldiers on the border stay silent this shows they are supporting terrorists attacks”. Here this should be kept in mind that General Krits also belongs to US army, than is there any lack of communication between US govt. and its Generals deployed in Afghanistan or all this is being done just to befool the international community? Because on the midnight of Friday-Saturday the posts of Pakistan army named as Salala, Waali Chalo and Boulder attacked by NATO like thieves, are those check posts which were mentioned in General Krits statement. Than is this not surprising that just five hours before the attack ISAF Commander John Allen met General Kiyani? Now lets come towards NATO attack, whole world is surprised because no apparent reason is visible behind this terrorist attack. But the harsh reaction of Pakistan and cutting NATO supply via Pakistan has made White House restless, while on the other hand a new misleading statement has been issued that allied forces were busy in operation against terrorists in front of these post, the soldiers on these posts fired rounds over allied forces and as a reaction the commander of allied forces requested for air support and thus NATO air force targeted Pakistani posts. In this way state terrorists of more than two dozen countries, enemies of Pakistan in the form of Northern Alliance and master minds of this terrorist act has tried to give a new color to this attack, but unbiased defense analysts of the whole world are not ready to accept this crafted version of state terrorism as true. Because on the other hand Afghan President or Afghan Foreign Ministry has not issued any statement in support of NATO allegations and second UNO has not allowed NATO to conduct any operations or attacks outside Afghanistan. 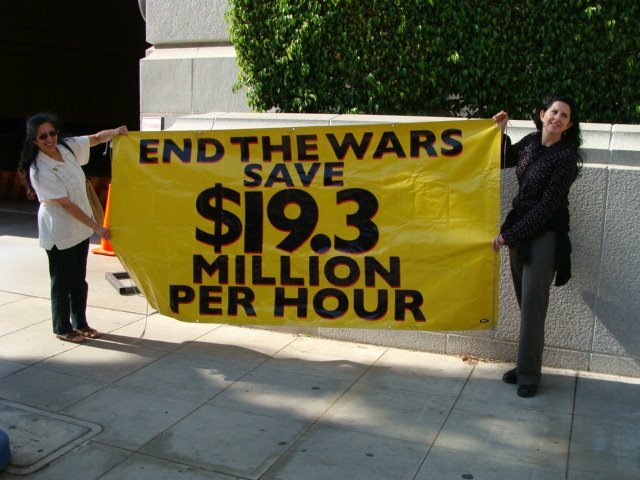 Protest against Afghan war in USA! Pakistan has already clarified that this areas is clear of all terrorists and secondly these posts were built to stop terrorists entering into Pakistan in the form of hundreds from Afghanistan to attack Pakistani forces. So has NATO attacked these posts to clear the hurdles in the way of these terrorists attacking Pakistan? What is the link between NATO and terrorism in Pakistan? Moreover the peace talks with Taliban and decrease in suicide bomb attacks in Pakistan may be also a reason if NATO attacks. However here we will have to look that who was benefiting from poor situation of peace in Pakistan and what were the hidden purposes behind these attacks? If we look at NATO we cannot find a single country member of NATO who may benefit for this. The NATO officials should have also known that if their supply via Pakistan is halted than their stability in Afghanistan will be difficult. Because on the night of 30 September when NATO helicopters had attacked Pakistani check post and martyred 3 Pakistani soldiers and after one day later when tribal elders who were gathered for peace talks were martyred in the bombardment, so as a reaction NATO supply was temporarily halted, so this brought minds of NATO on ground and ISAF and NATO both requested forgiveness in written form. But the continuous of these terrorist acts by NATO and attack on 26 November is very heinous. Some defense analysts are of the view that this is a message from US forces, other claim it as American response to forced resignation of Hussein Haqqani, Pakistani ambassador to USA. In the same way the reaction of UAE on the order of closure of Shamsi airbase is also very strange, because govt. has been telling the nation that this airbase is in use of brother Islamic country UAE, but seems the reality was different than this. Because how is this possible that NATO attacks Pakistan and as a reaction UAE is ordered to close airbase? Not only this UAE has requested Pakistan to be patient and wait till results of NATO investigations are available. This request was rejected by Pakistan. 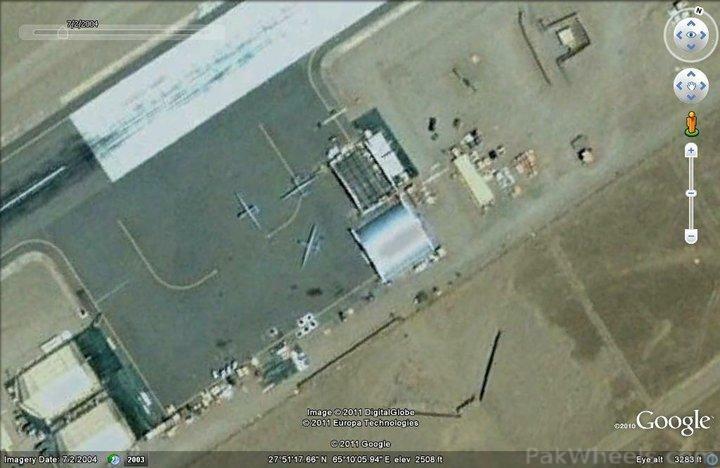 Shamsi Air base; USA has been ordered to evacuate it within 15 days. Moreover there is another aspect which needs attention, after alleged attack of NATO people are raising questions about the capability of Pakistan army, that why did not the soldiers on watch at the time of attack retaliate? If like this enemy airforce can enter any part of country through any part of border and targets any important installations than will the soldiers be killed like unarmed men? 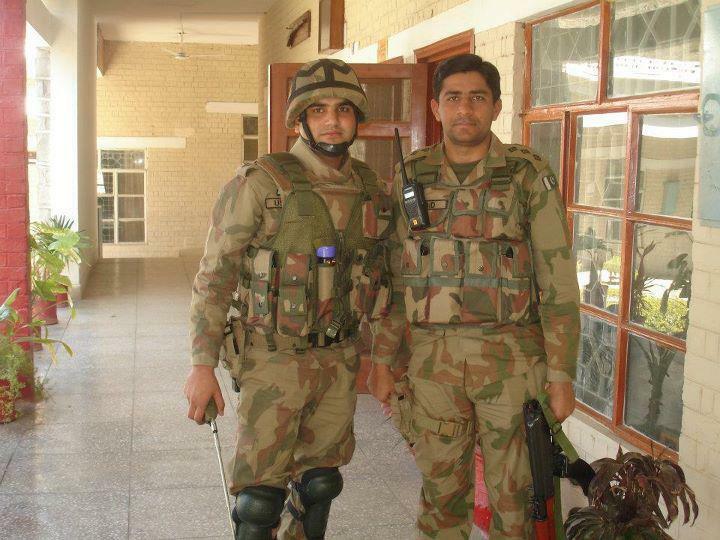 In the present situation when Pakistani nation is much angry and pessimist, the army is also enraged. As a result Pakistani nation has started demanding that the relations with the USA should be amended and moreover Pakistan should get out of so-called war on terror and the war should be limited to militants who are attacking Pakistan, who are supported by USA, Israel and India covertly. 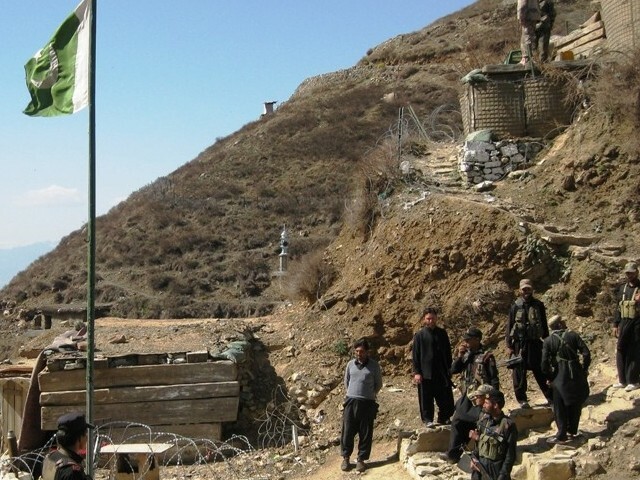 Otherwise no matter how much well organized a militant group it is impossible for them to stand in front of Pakistan security forces without financial and military aid. Pakistan should not be sacrificed for interests of USA any more. However whatever has happened we may take it as a chance provided by nature to get rid of America, who has enslaved Pakistan in the name of aid. The most painful aspect of friendship with USA is that after Pakistan joined so-called American war on terror Pakistan is the only country which has to bear the most of the loss. More than 30000 innocent citizens became target of suicide and terrorist attacks. Their only was that their rulers have decided to join USA in its so-called war on terror or state terrorism. In this way including General to soldier Pakistani nation has sacrificed more than 6000 personnel of security forces. After such great sacrifices Pakistan army did not lose courage, after complete movement of citizens to safe places, clearing Swar and Malakand and than rehabilitation of locals is such a great achievement of Pak-Army that one can hardly find and example. The Pakistani state (Punjabi Army/ISI) has a tenuous control over the FATA/KP region beyond 50-60 miles west of the Indus. Their writ does not run there. Baluchistan is truly the wild West. Sparsely populated desert with little in terms of infrastructure. There is absolutely no reason for the US to invade Pakistan proper (i.e. Punjab and Sindh). Take the battle across the Durand Line. Read them the riot act and ask them to either withdraw their forces. After all the writ of the Pakistani state hardly runs there, so you are not going to be changing anything dramatically except for sending the Punjabis back home. (US conspiracy; what they did in Iraq, and Libya where they could not dare to attack properly before their terrorists had done the job). After aggressive attacks of NATO all the relations with USA should be reconsidered and a clear policy should be established. In the beginning the court martial of NATO pilots should be demanded who attacked Pakistani posts. Moreover the commander of ISAF who requested the air support, the commander of ISAF air base who provided these pilots with location and maps of Pakistani post and gave them clearance for flight should be also court martial. This demand should be forwarded from Pakistan Parliament and USA should be made clear that Pakistani nation is not ready to accept anything less than that. As the result of court martial this will be also cleared that whether this attack was a conspiracy at local level or the higher officials of ISAF also part of this. This will be cleared that whether any role of India or Northern alliance was involved in this aggression or not? In spite of accepting superiority of India just for US interests and creating troubles for other small countries of the country, the talks should be initiated with India to resolve disputes. After all disputes with India are resolved than India should be given access to Middle East. Because this is no more a secret that USA wants to transfer its corporate sector in India where there is abundance of cheap labor and also in order to control energy crises and destroying US economy. 26 November has passed and that with silence? Is not this strange that after 2008 first time India has remained silent on 26 November, no statement has been issued about Mumbai attacks, even Indian media did not publish any memorial news report. This is against the habit of India, than was the attack of NATO on the night of 26 November a mere coincidence or something else? This should be also investigated. Maybe RAW is behind this attack.